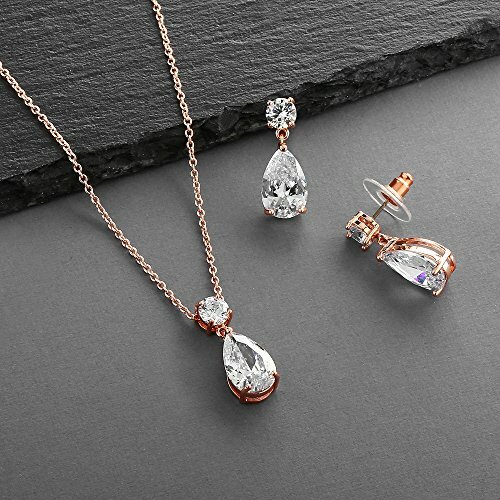 Make your grand entrance unforgettable in this best-selling 14 Karat Rose Gold Plated Cubic Zirconia jewelry set by Mariell. The dazzling Blush Gold pendant rests on a glistening adjustable rope chain measuring 15 1/2" to 17" long. and stunning 3/4" h dangle earrings. Necklace length can fit standard or petite size neck. 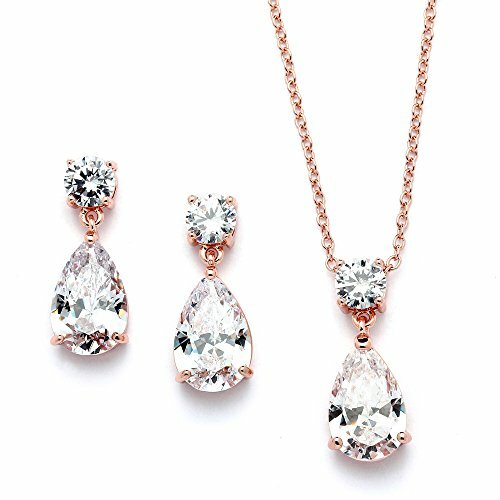 Get ready to light up the room in our brilliant teardrop necklace and earrings set ablaze with the finest quality AAAAA grade Cubic Zirconia...at a price that will have you celebrating! The CZ gems are precision cut into the timeless beauty of classic round-cut and pear-shaped teardrops meticulously prong-set in Genuine 14K Rose Gold plating. This gleaming matching jewelry set will add the perfect finish to bridal or wedding gowns, bridesmaids dresses or any special occasion frock. We love the "dress up or dress-down" versatility of this fabulous jewelry set. After your special occasion frocks are neatly tucked back in the closet, enjoy this blush gold set to jazz up your business attire or add a splash of bling to your favorite sweater and jeans. 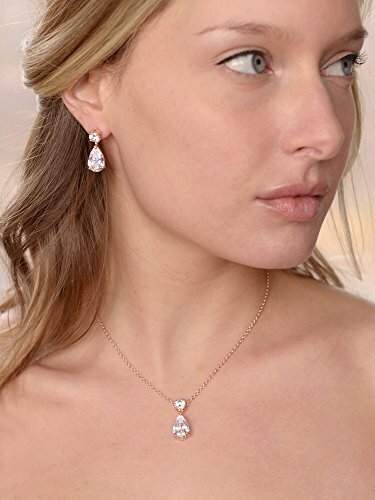 Wear the necklace or the earrings alone when you want the subtle sophistication of just a single piece of jewelry with that look of real diamonds. We promise you'll love this glamorous rose gold statement set or your money-back. Treat yourself or someone you love to some seriously gorgeous sparkle at an irresistible price. This best-selling beauty makes a gift any woman will treasure forever! 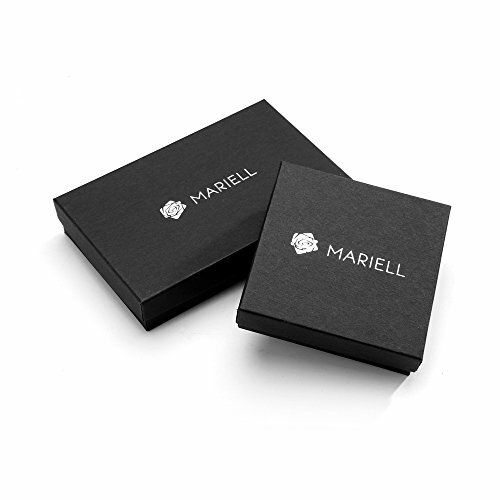 Enjoy Mariell's 100% Risk Free Purchase and Lifetime Guarantee. 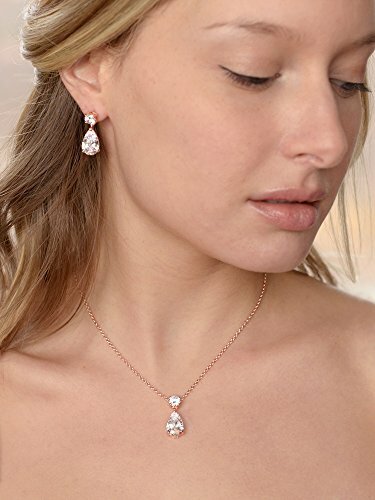 Top Quality AAAAA Grade Cubic Zirconia Plated in Genuine 14K Rose Gold; Look of Fine Jewelry at a Fabulous Low Price! If you have any questions about this product by Mariell, contact us by completing and submitting the form below. If you are looking for a specif part number, please include it with your message.